Well done Jan. Gold star awarded for you. congratulations to all your meters and for "hanging on", although I hope you're all doing this out of passion, pleasure and pure joy…! Jumping onto the league table very close to the top - well done Boris. Thanks for the update! Now I have a better idea of who has been chasing me up the Meterboard last season! Thanks for that!! Very impressive mileage Boris, well done! This isn't going to get any bragging rights at the Erg Saloon but I'm proud to post my first million meters . 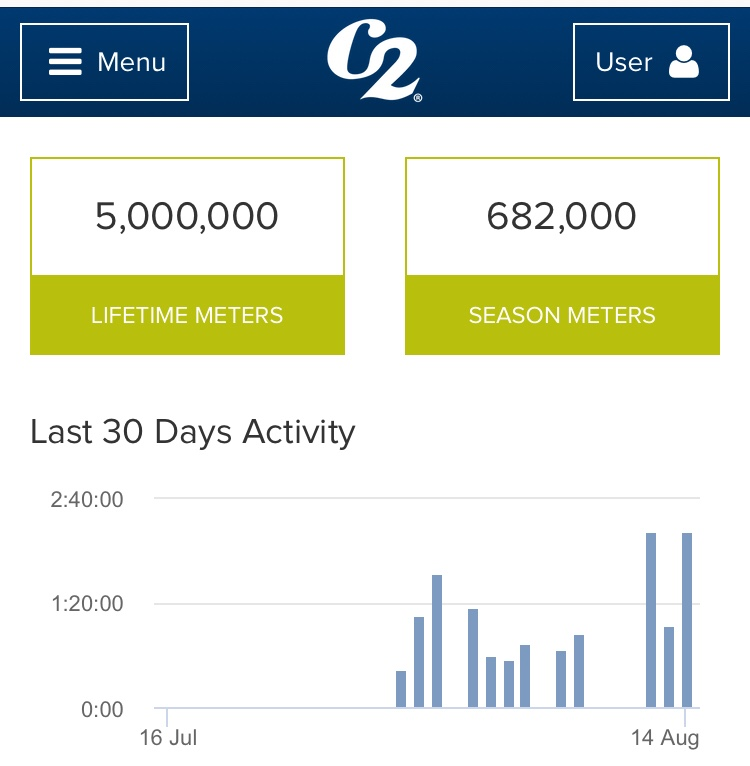 Out of interest, not all my meters are logged on Concept2 because I didn't originally use Ergdata, do people add bulk meters to align the two? Congrats with your first million!! He who eats the most custard wins. Just notched up to exactly 35 million tonight..
Wow! Great achievement! Congratulations Dave! Today I just clicked my first million meters, I also set 2 personal beats. I beat my 2k by .01 seconds and my 5k time by 42 seconds. What a day. Congratulations! Really sounds like a great day! Make sure to contact your local Concept2 dealer to get the 1MM t-shirt. Unfortunately not all countries support all the prizes though, but worth checking! I beat my 2k by .01 seconds and my 5k time by 42 seconds. What a day. Two personal bests in one day is amazing! Just passed my 18 million meters. Back in training and feeling good. Well done Jason. I've updated the chart for you - you've jumped back in near the top! Thank you Felton & Dave! Managed to break through 13mM today. I seem to have dropped off the chart, please can I have 13 black stars? 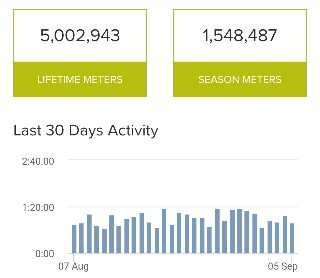 Nicely hit 500k for season as well.